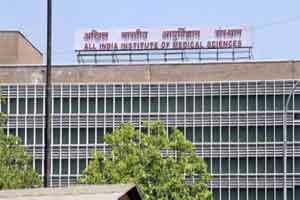 New Delhi: Delhi High Court directed CBI to file a status report on a petition which has sought investigation into several alleged graft cases relating to the All India Institute of Medical Sciences (AIIMS). A bench of chief justice G Rohini and Justice Sangita Dhingra Sehgal asked the probe agency to furnish the ‘latest status report’ in the matter by December 9, the next date of hearing. “You (CBI) file the latest status report as several cases are there,” the bench told the CBI counsel. Former chief vigilance officer (CVO) of AIIMS, Sanjeev Chaturvedi, had earlier accused the Health Ministry of not doing anything in several graft cases relating to the institution by allegedly sitting over the charge sheets and CBI reports against the individuals involved. Chaturvedi had made the accusation in an affidavit filed before the high court in a PIL by an NGO, seeking recusal of Union Health Minister from acting as a disciplinary authority, alleging that he had “unfettered powers to influence the course of proceedings in all the corruption cases”. The PIL by NGO Centre for Public Interest Litigation has also sought a CBI probe into various graft cases in AIIMS. Health Minister J P Nadda had earlier told the court that the PIL was “actuated by ulterior motive” to gain political mileage and “malign” the government’s image. In his reply, he had refuted allegations that Chaturvedi was removed from the post as he was conducting a probe in several graft cases related to malpractices in the AIIMS. However, Chaturvedi has claimed in his affidavit that the Health Ministry has not replied since February 2 on central vigilance commission’s letter seeking the ministry CVO’s comments on whether they have taken any action on CBI’s case registered against some individuals.